The cover of my first ebook! This book grew out of the Viva Survivor workshop that I have run since 2010 and from my work producing the Viva Survivors Podcast that I started in 2012. 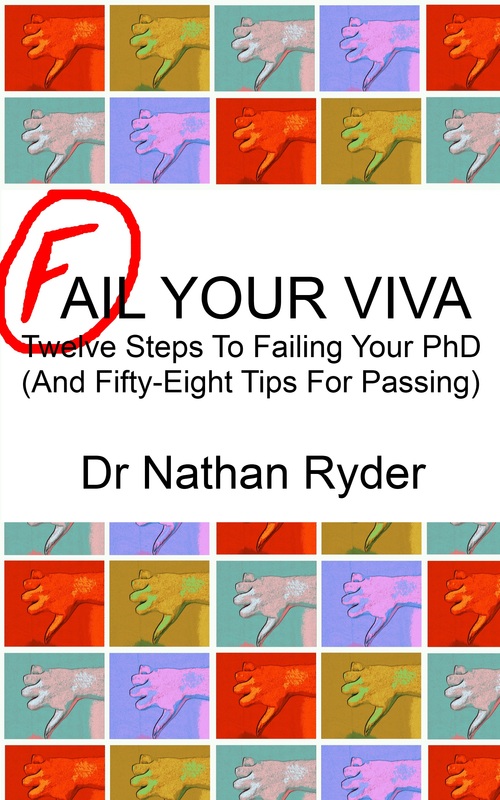 People kept telling me that they were worried that they would fail their viva, and that thought really stuck with me. How would you go about doing that? What would you do if you wanted to fail? 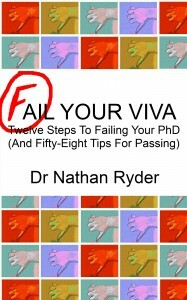 And more importantly, what can you do to prepare for the viva? Payhip – available in .mobi and .epub formats. If you’ve read the book I would love to hear from you: drop me an email!